New Year's Undead Eve features a DJ, cash bar, door prizes and raffle to benefit Scares That Care. Admission also gets you snacks, a nachos bar and a champagne toast at midnight. Come dressed in your most ghoulish semi-formal attire (think Carnival of Souls dance or The Shining's July 4th ball). Prize will be awarded to the Best Dressed Undead. A special overnight room rate of $94 + tax is available to party goers. 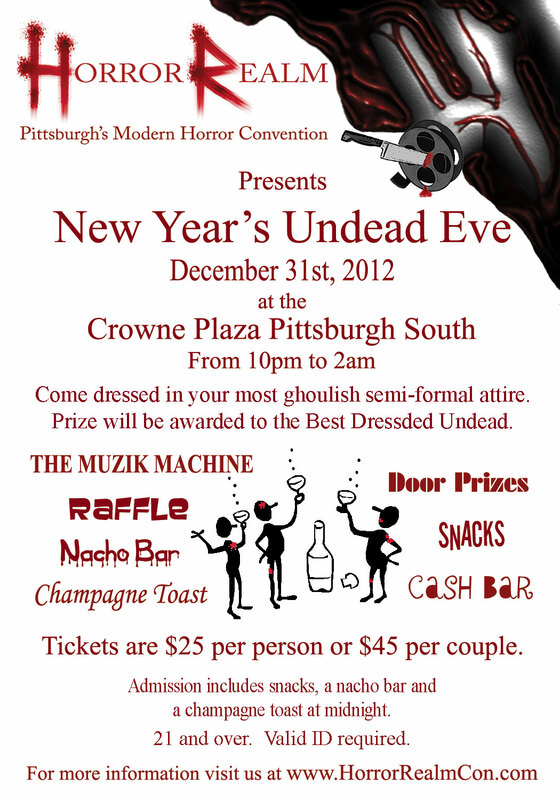 Call the Crowne Plaza at 412-833-5300 to reserve your room (mention group code HRN). The party is open to individuals 21 and over. Valid ID required.